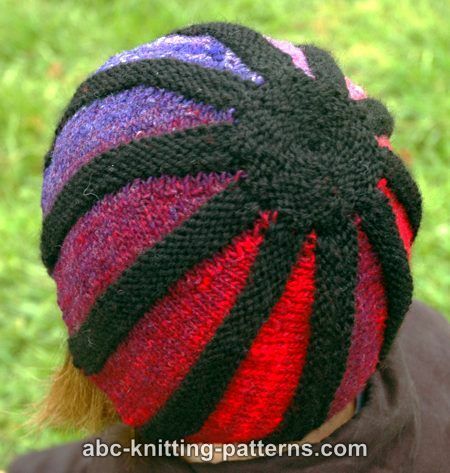 Finished size: 8" (20 cm) high, since the hat is knitted sideways, it can be made for any head circumference. 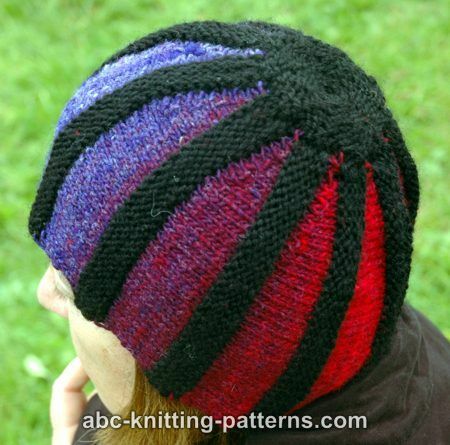 The bottom of the hat is finished with chain selvedge. 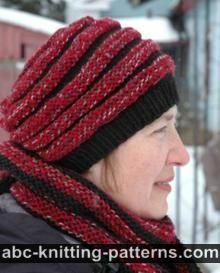 To work chain selvedge slip the first stitch of every row purl-wise and purl the last stitch of every row. 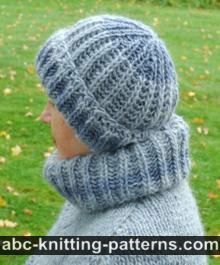 The selvedge stitches are not mentioned in the instructions below and are not counted in the stitch count. 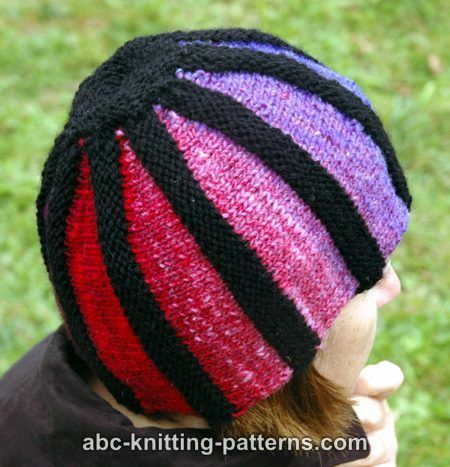 The hat is worked sideways and shaped with short rows. Cast on 32 st using provisional cast on method. Row 7: p 26, wrap, turn. Row 9: p 24, wrap, turn. Row 11: p 22, wrap, turn. 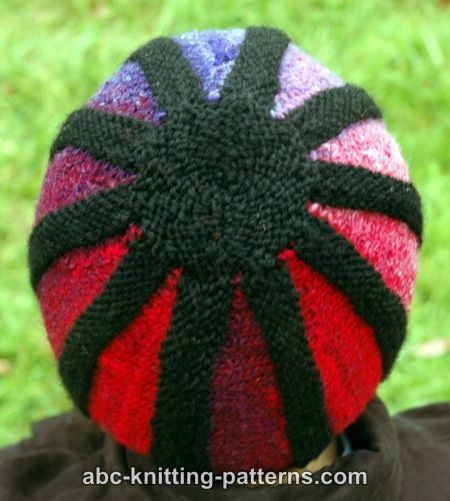 Repeat rows 4-19 to desired head circumference. 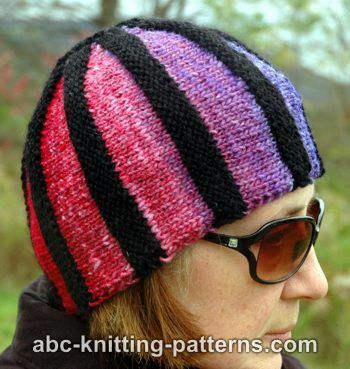 For 22" (55 cm) hat make 10 repeats. With black yarn pick up 50 st along the top of the hat: 3 st over the black wedges and 2 st between the black wedges. Row 5: *p2tog, p1, repeat from * to the end of the row. Row 7: p2tog, repeat to the end of the row. Cut yarn, leaving a 10" (25 cm) tail. Pull through all the sts and secure. 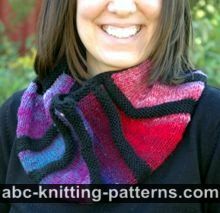 Remove the waste yarn from the cast on and join the ends of the cowl with the Kitchener stitch.